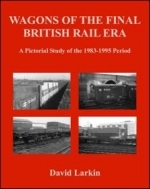 The five previous Kestrel Railway Books volumes by David Larkin looked at the revenue-earning wagon fleet operated by British Railways and its immediate successor, British Rail. 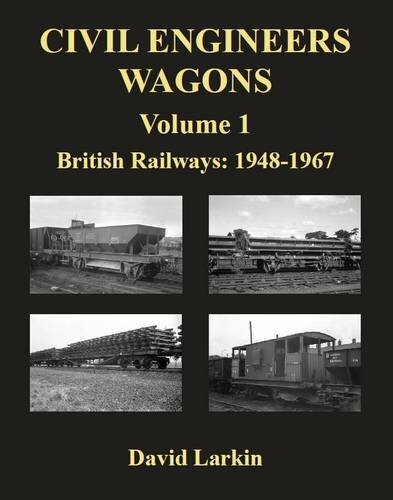 This volume is the first of three looking at the substantial fleet of specially-designed wagons that were used for track maintenance. 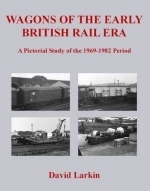 The fleet included open wagons to take fresh materials to site, ballast hopper wagons that could be discharged on site, flat wagons to convey new rails and carry old rails away for scrapping, and specialized brake vans to distribute ballast and take gangs of men to remote locations. 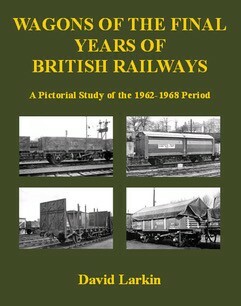 Most of the wagon types seen in this volume were either built for the “Big Four” railways before 1948, or were derived from them; all are fully covered. 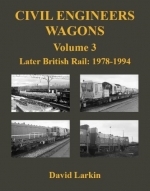 Towards the end of the period, former revenue-earning wagons were transferred into the Civil Engineers fleet, and these are also included in this volume. 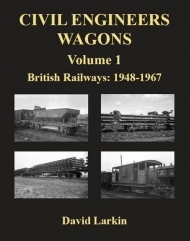 Finally, there is an examination of the telegraphic code names used to identify the genuine Civil Engineers wagons throughout the period, the reasons why they were necessary, and the original allocations of these wagons. There is quite an overlap throughout the three volumes in this series, but this volume concentrates on the period from 1948 to 1967 – a very labour-intensive period, with little being achieved towards the mechanization that will be fully covered in subsequent volumes.